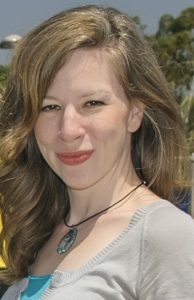 Dr. Holly Roose completed her PhD in History at UCSB last June. Since then, Holly received offers of tenure-track professorships, but she has decided to pursue a higher calling. She is now the Director of UCSB’s Promise Scholar Program. The program guides several hundred students who have extremely high financial need through their university careers. She advises them, makes sure they hit their academic marks, and helps them plan for graduate schools and careers. She is also working on designing and creating a retention program for UCSB’s at-risk students. At the same time, Dr. Roose has written articles and book chapters, and her book Beyond Black Star Rising: Multiracial Garveyism in the Far West is in the hands of a publisher.